The CSAA (Central Station Alarm Association) Board of Directors formally approved the CSAA/Verisk Data Exchange Project at its October 11 annual meeting in Sonoma, CA. The project goal is to study the impact of professionally monitored alarm systems on insurance risk. This will be accomplished by combining CSAA member alarm system data with Verisk’s proprietary insurance data. Insights from this study could be used in filings for updated discounts with insurance department regulators. This project will also assess the relevancy and value of alarm system data in the insurance underwriting, pricing and claims handling process. Verisk Analytics (Nasdaq:VRSK) is a leading data analytics provider serving customers in insurance, energy, healthcare, financial services, government, and risk management. Jay Hauhn, the executive director of the CSAA, stated that the CSAA/Verisk Exchange Committee (CVEC) will drive this data collection and analysis project and include several subcommittees. Keith Jentoft, president of Videofied and a strong advocate of insurance/security alliances, has been appointed to chair the CVEC and is working with CSAA members to organize the committees and define project milestones. Don Young, COO of Protection 1, has been appointed as the board liaison giving the CSAA Board oversight and direction to the CVEC. Reported by CSAA Counsel John Prendergast of Blooston, Mordkofsky, Dickens, Duffy & Prendergast. The above request does not seem unreasonable, and reflects growing frustration among coordinators that must try to coordinate new stations in the face of non-compliant licensees still showing up in the ULS database. The next ask, however, may create problems for otherwise compliant licensees, who installed narrowband equipment and added the narrowband emission designator to their license, but left the wideband designator on as well (perhaps because they were not sure of the date on which the narrowband equipment would be in place). LMCC also asks the Commission to eliminate the ULS tool developed by the FCC to facilitate the removal of non-compliant emission designators from licenses that also reflect compliant narrowband emissions prior to license renewal. LMCC argues that if a licensee has both the wide band and narrowband designator on the license, it cannot remove the wideband designator, and renew the license, without prior frequency coordination. While there may be some justification for this demand, it means that any straggler licensees that have narrowbanded but not removed the old wideband designator from their license should do so right away, before the FCC forces them to go through full blown frequency coordination to do so. Stanley Security, one of the world’s largest and most comprehensive security providers, went live with ASAP® in the city of Richmond, VA on October 22. ASAP was launched in 2011 as a public-private partnership, designed to increase the efficiency and reliability of emergency electronic signals from central station alarm companies to Public Safety Answering Points (PSAPs). ASAP utilizes ANSI standard protocols developed cooperatively by the Association of Public Communications Officials (APCO) and the Central Station Alarm Association (CSAA). With ASAP, critical life safety signals and accurate information is processed more quickly, through the Nlets system of state-to-state PSAP communication, insuring that complete and accurate information is transmitted to the PSAP every time. The ASAP program has the potential to save PSAPs and emergency services millions of dollars. For more information on ASAP or to access ASAP resources (videos, webinars, training and outreach materials), contact CSAA at asap@csaaintl.org or 703-242-4670, or visit csaaintl.org/asap. CSAA Executive Director Jay Hauhn will moderate a panel at “Cloud+”, the security industry’s first conference dedicated to all things cloud on December 7-8 in Silicon Valley at the Crowne Plaza Hotel in Foster City, CA. CSAA members can register for a special rate. Click here to register and enter CSAA15 promotional code to get the CSAA discount. Cloud is the new frontier in physical security, and Cloud+ is the only event where security dealers, integrators, monitoring companies and other security professional can delve into how cloud technology is now reshaping the security industry, what the potential is for the future and how cloud will affect companies’ bottom lines. Cloud+ is the only place to see physical security cloud technology in one room: The conference exhibit hall will be focused solely on cloud-based technology. Click here to see the educational program, which will explore ROI, business models and technology. It also includes an educational session on central stations in the cloud. It will feature frank discussions, spirited debates and speakers who are among the industry’s most knowledgeable and well-respected cloud experts. Jay Hauhn will moderate “The Central Station Transformed” with panelists Cliff Dice, President and CEO, Dice; Hank Goldberg, Vice President, Secure Global Solutions (SGS); and Jens Kolind, President and CEO, Innovative Business Software (IBS). 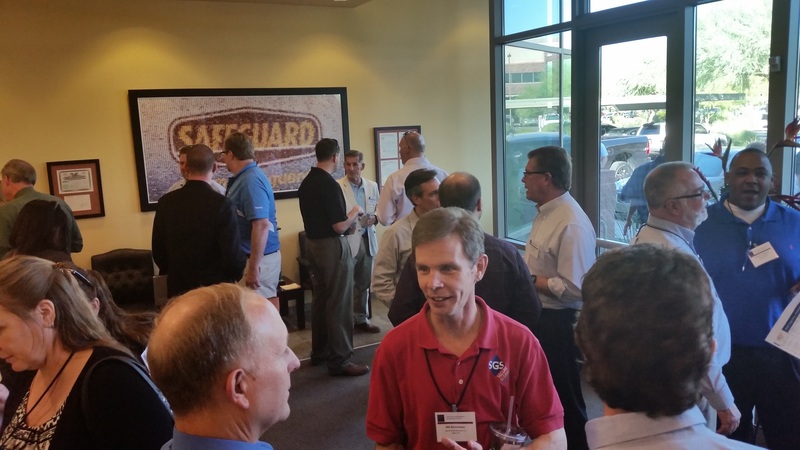 On November 8, CSAA Fall Operations Management Seminar attendees were invited on a tour of Safeguard Security, a CSAA Five Diamond-certified, ASAP-active central station, in Scottsdale, AZ. There they got a first-hand demonstration of the features of ASAP. 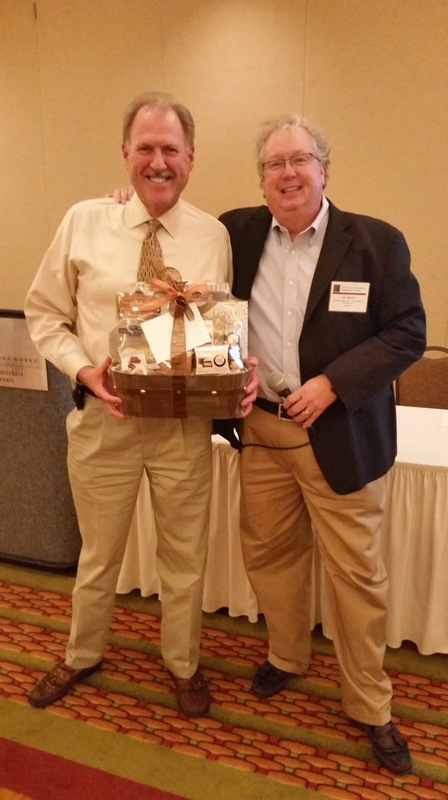 CSAA Executive Director Jay Hauhn, right, presents a thank you gift to Safeguard Vice President Mark Demler. Photos by Julie Webber and Becky Lane. “CMS is now live with its ASAP-to-PSAP adoption,” commented Tony Wilson, President, CMS. “Our hope is that the ASAP program will increase the speed and accuracy of our dispatches.” CMS serves more than 3,500 alarm companies and their 800,000 customers. Their broad range of monitoring services includes response to security, fire, Personal Emergency Response Systems (PERS), environmental and interactive services such as two-way voice and remote video. Read the complete announcement at CSAA News.